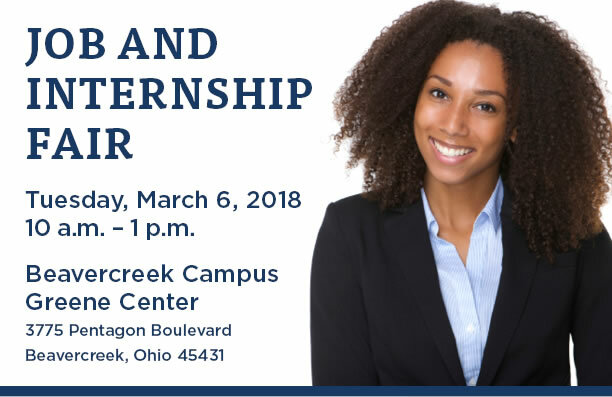 Tuesday, March 6 from 10 a.m. - 1 p.m. at our Beavercreek Campus. A registration fee of $25 is required for all participating organizations. This covers up to two recruiters and light refreshments. Please register and submit payment by Thursday, March 1, 2018.
accepted in the order that they are received. Thank you, and we look forward to seeing you at the fair!